Henry Hayden is a famous bestselling author hiding a dark secret; his quiet, mousy, unassuming wife Martha is the brains behind his success having written each and every word of all of his highly popular novels. The couple live a perfectly serene life in the German countryside and Henry is loved by all, or so it seems. Distraught after receiving some disturbing news, Henry makes one bad decision, has one moment of spontaneity, of irrational thought that threatens to topple his perfectly built life. 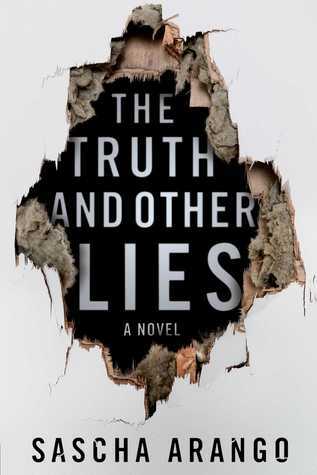 With The Truth and Other Lies, Sascha Arango offers readers a cleverly written crime thriller full of convoluted twists, conniving and sociopathic characters and much black humour. Gripping your interest from the very first few lines, the plot and character development is slow and deliberate, revealing with each page turned a juicy new detail, hidden secret or shocking twist. With such wonderful development, it’s unfortunate that the book ends so abruptly and unexpectedly. With a June release, The Truth and Other Lies is the perfect book to take along on your summer travels, to enjoy while lazily lounging on the beach, by the pool or at the cabin by the lake.